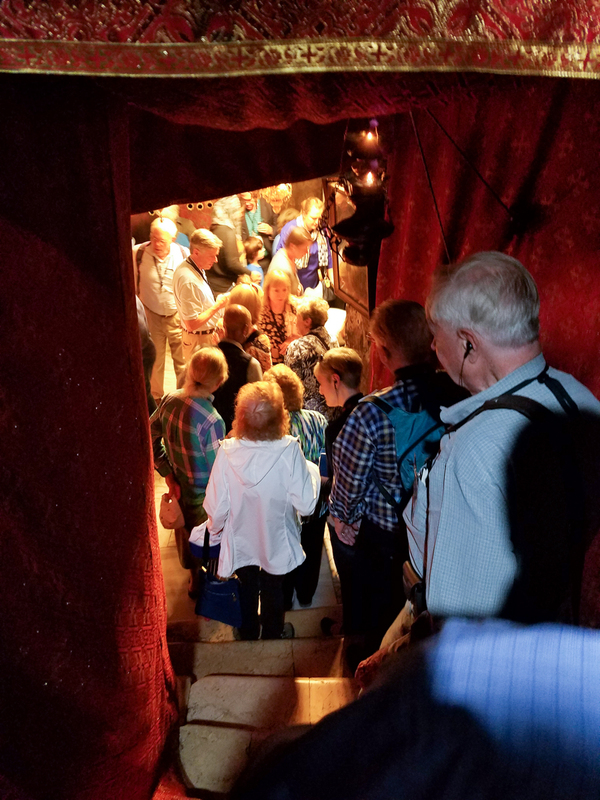 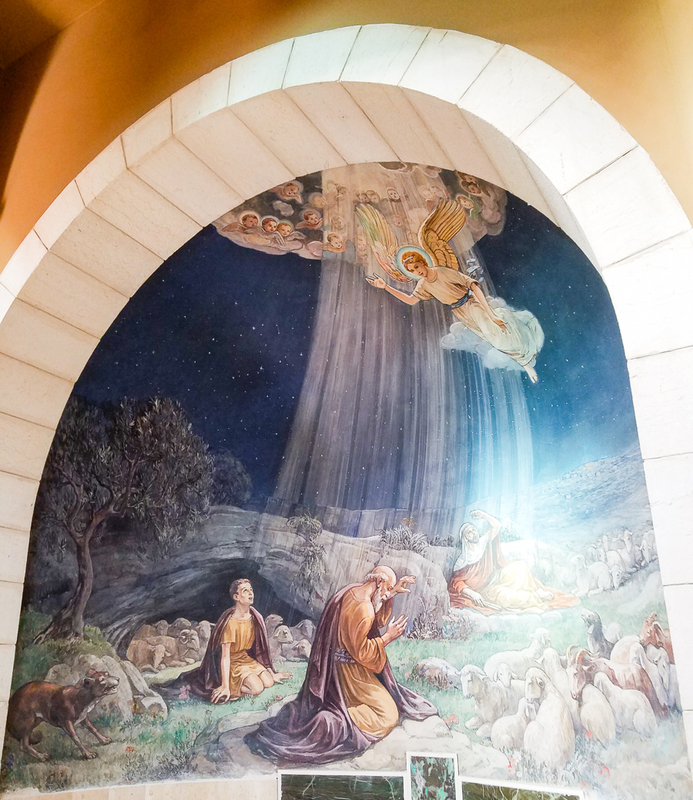 An image of the flight into Egypt in the cave under the Milk Grotto Church where we celebrated Mass. 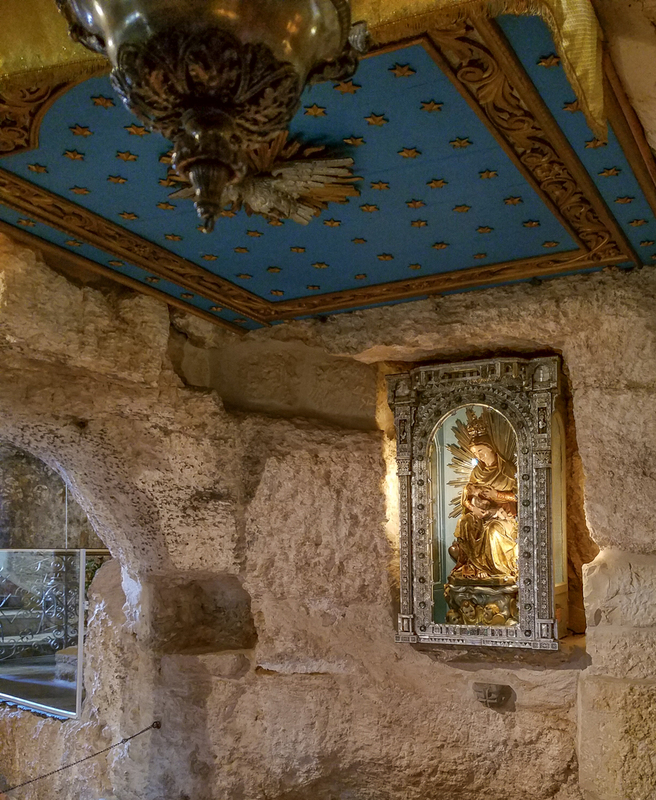 An image of Mary nursing the Infant Jesus. 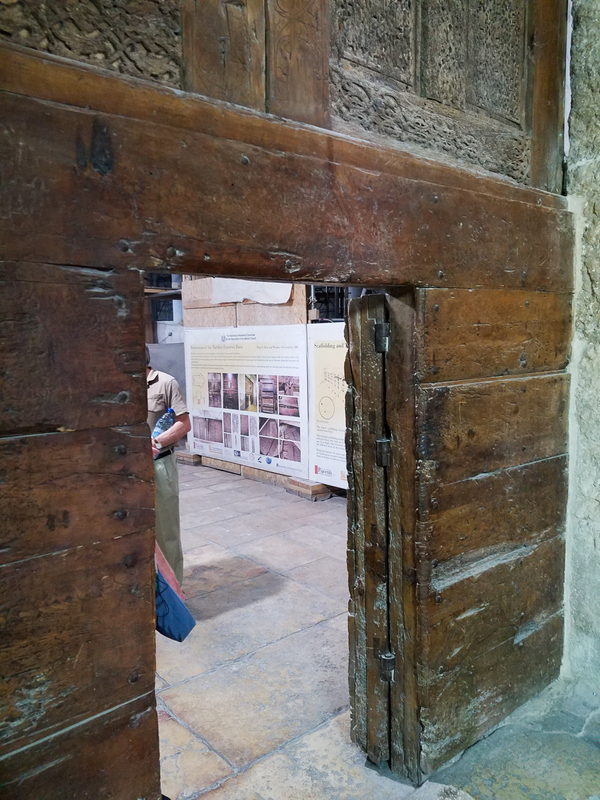 The door into the Nativity Church. 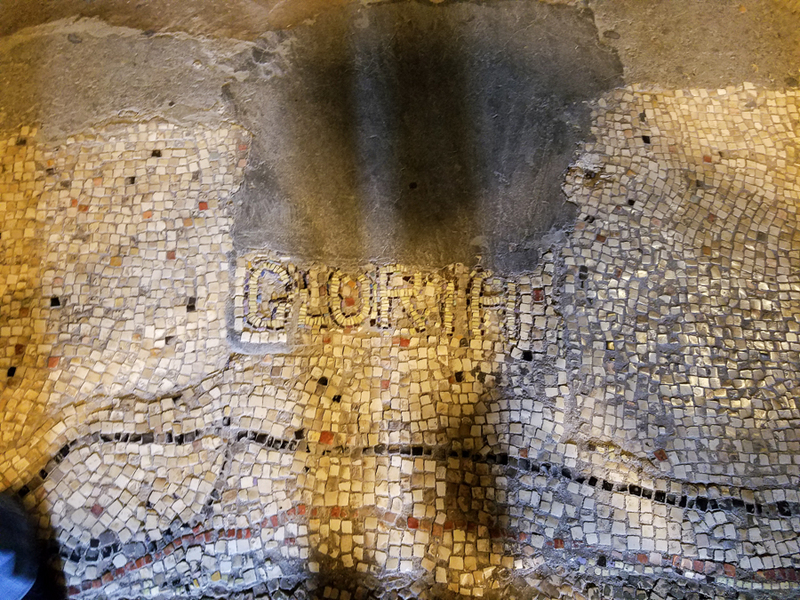 The mosaic floor from the fourth century Church of the Nativity. 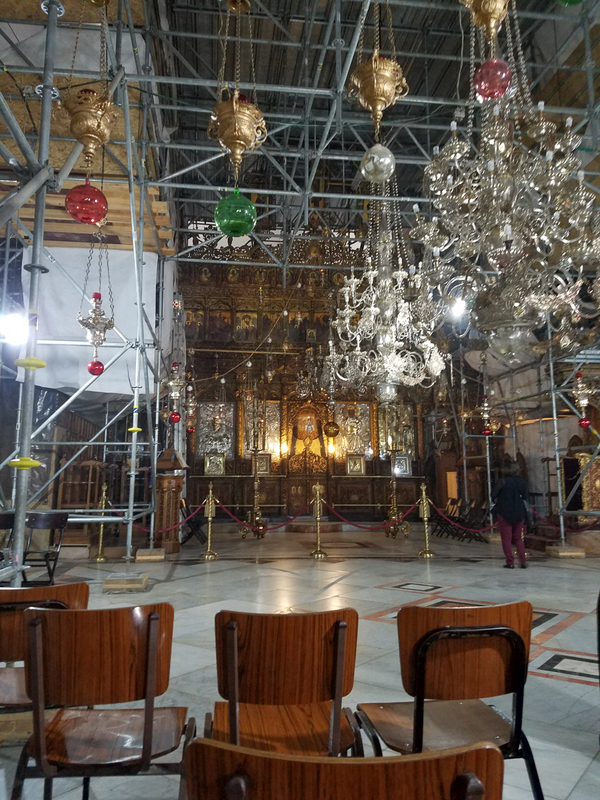 The church is under extensive renovation. 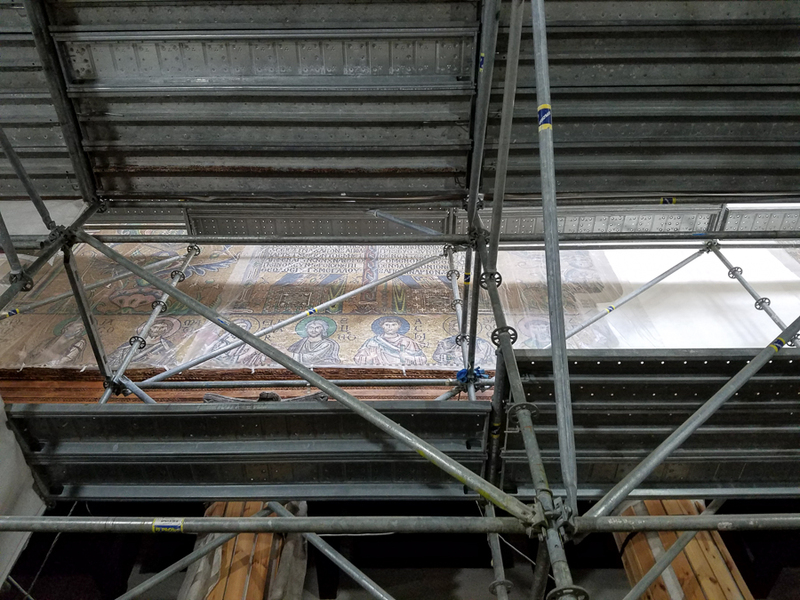 If you look carefully you can see the restoration of mosaics that have been covered for centuries. 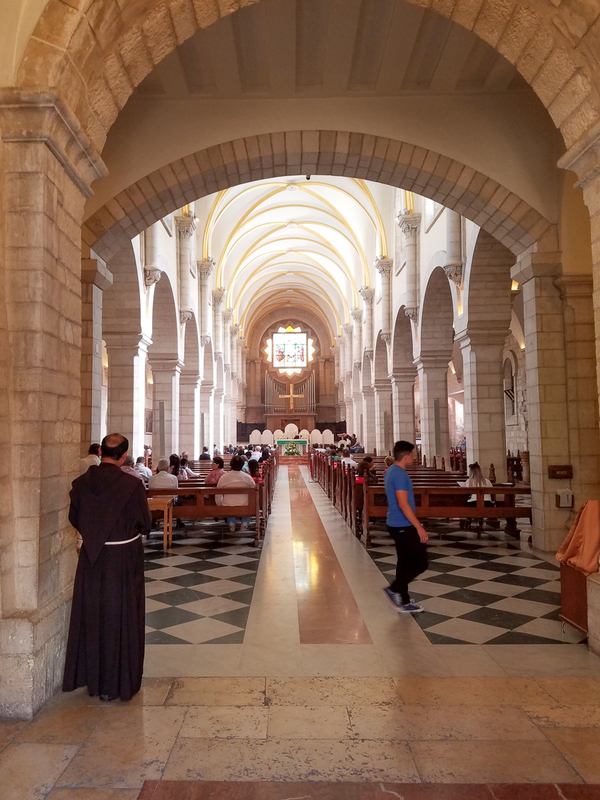 The Catholic basilica in Bethlehem. 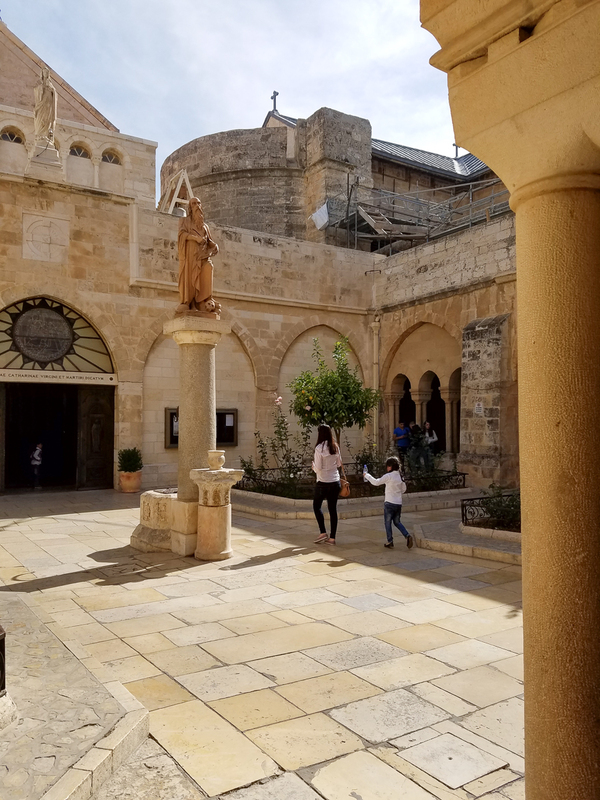 A courtyard with a statue of Saint Jerome who lived in a cave under this present day church until his death. 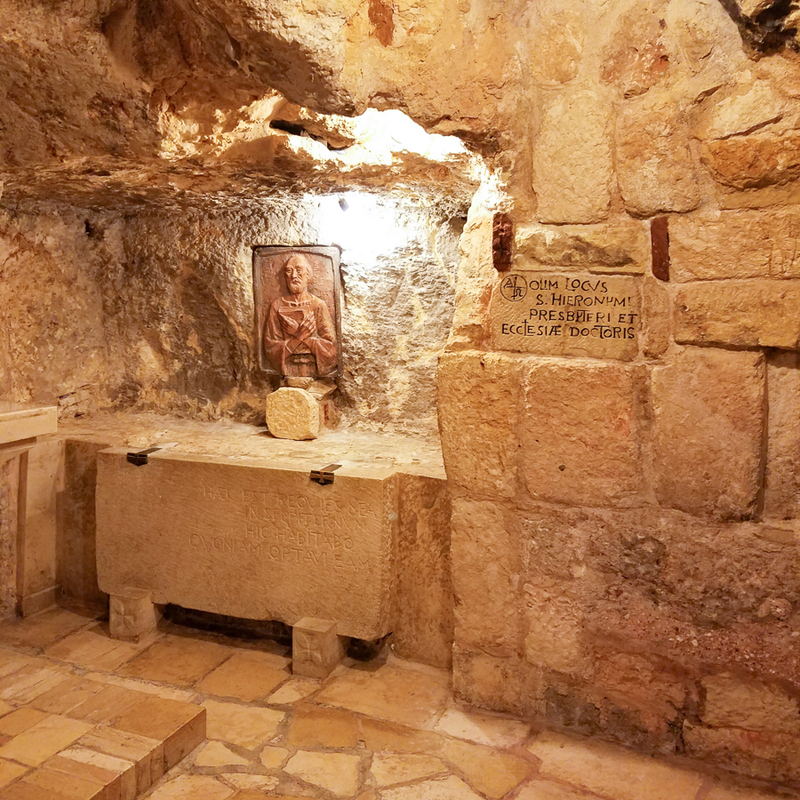 The cave of Saint Jerome. 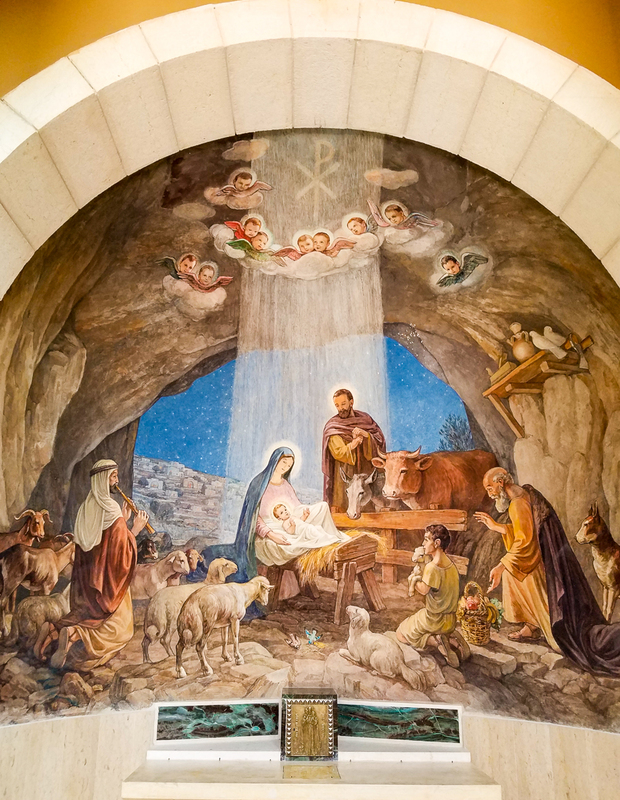 Nativity grotto. 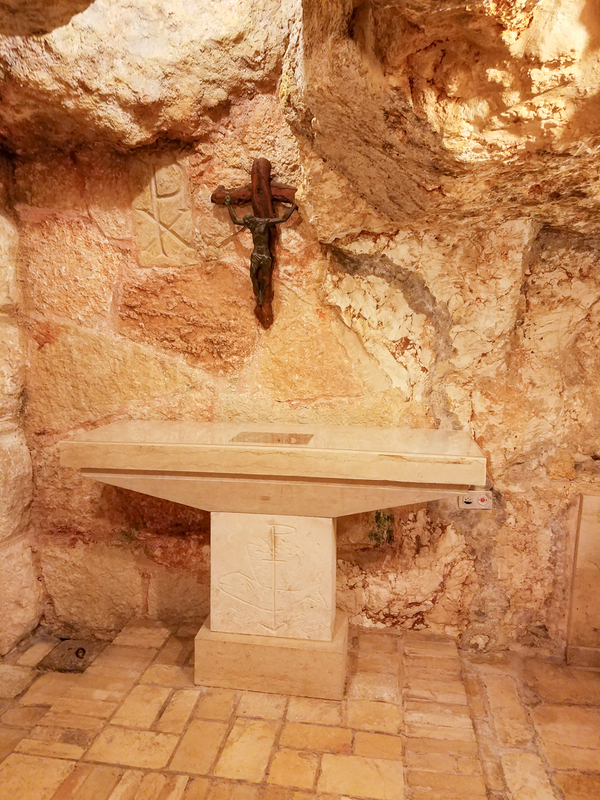 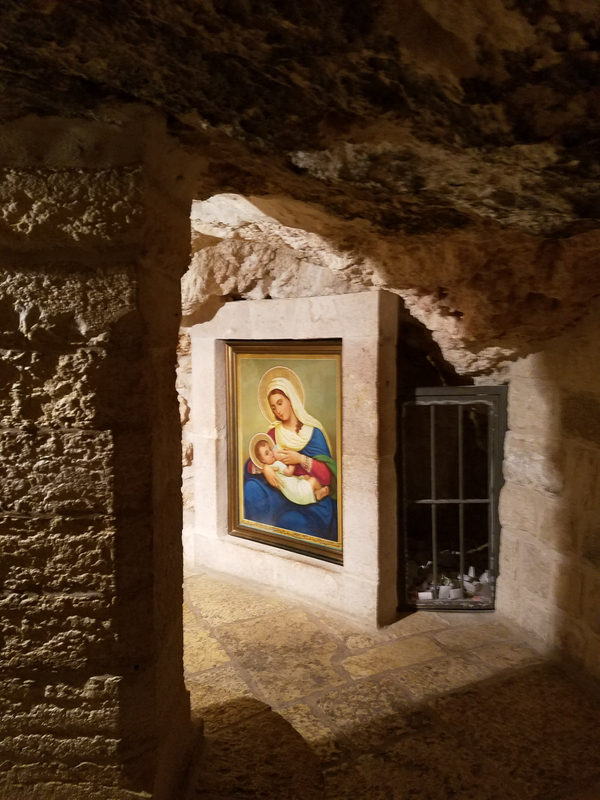 Under the ancient basilica is the cave where Our Lord was born. 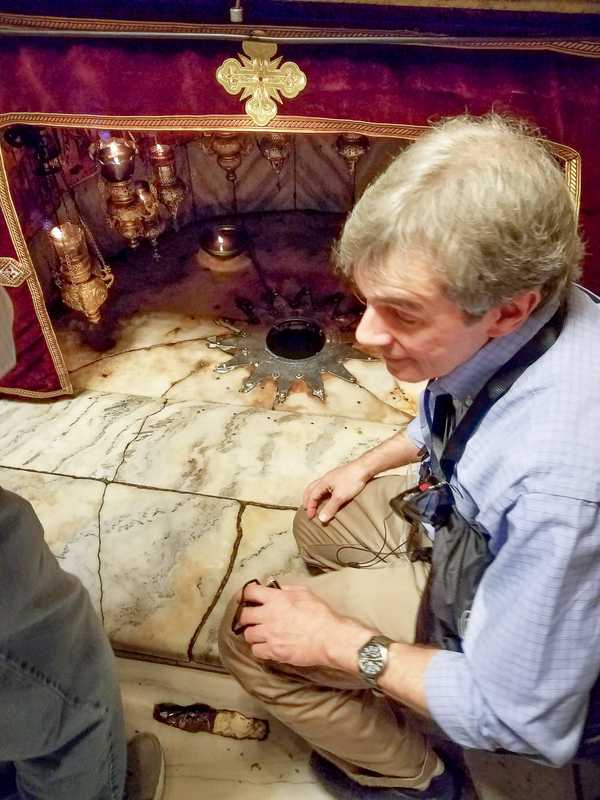 The silver star where Christians venerate the birth of the Savior. 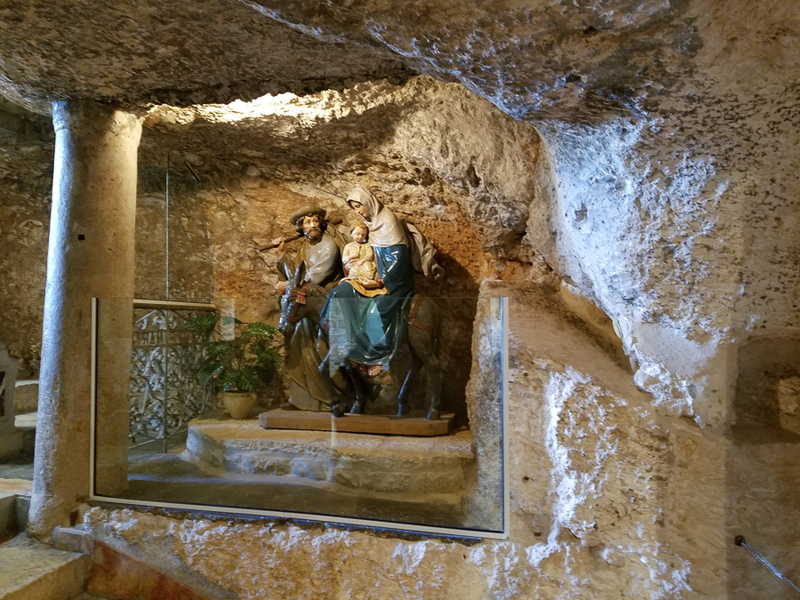 Nativity cave, evokes a strong devotion that we expressed in the singing of Silent Night. 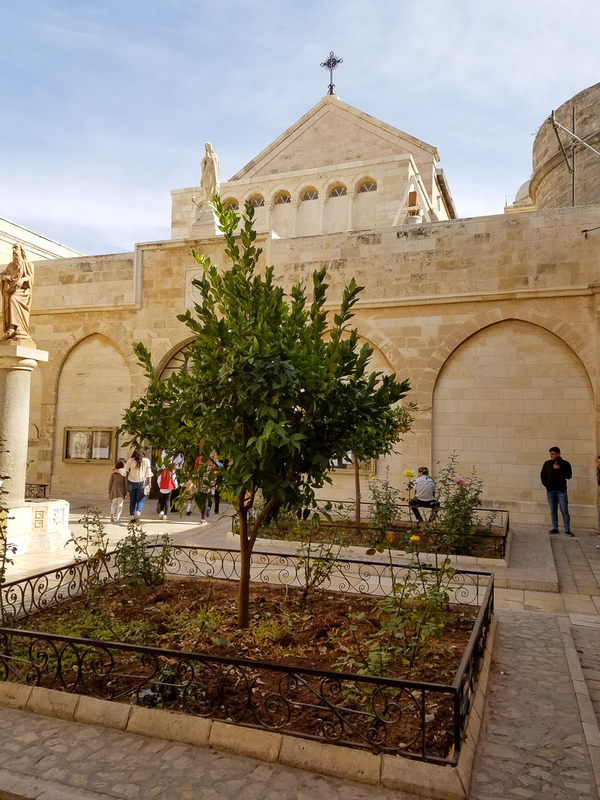 Shepherds’ Field. 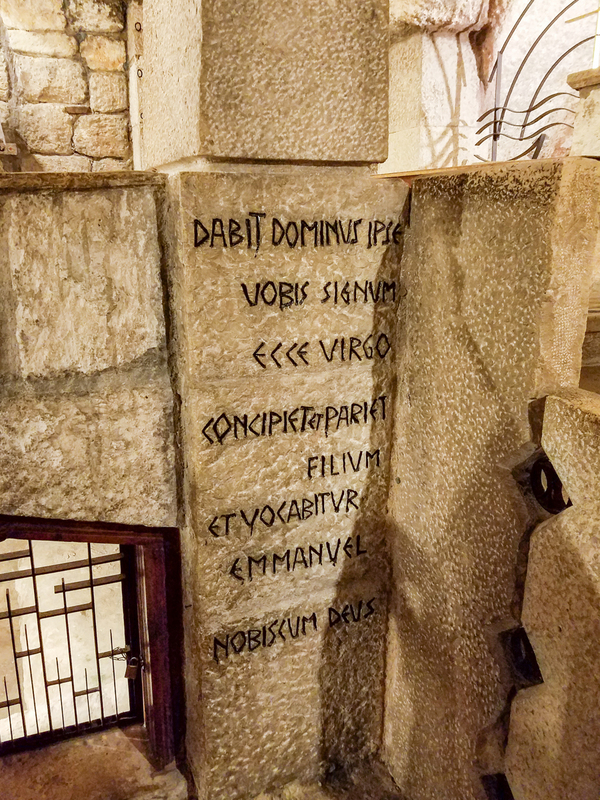 Mosaic in the cave. 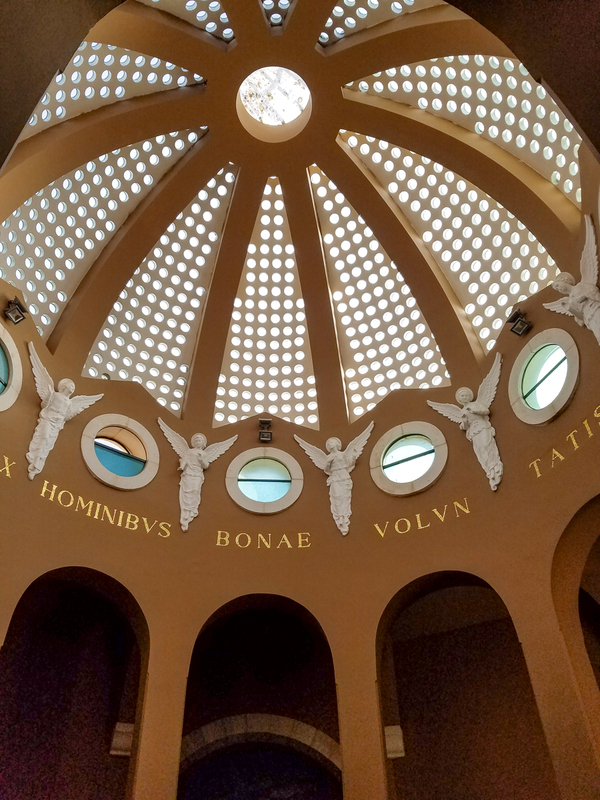 Dome of Church. 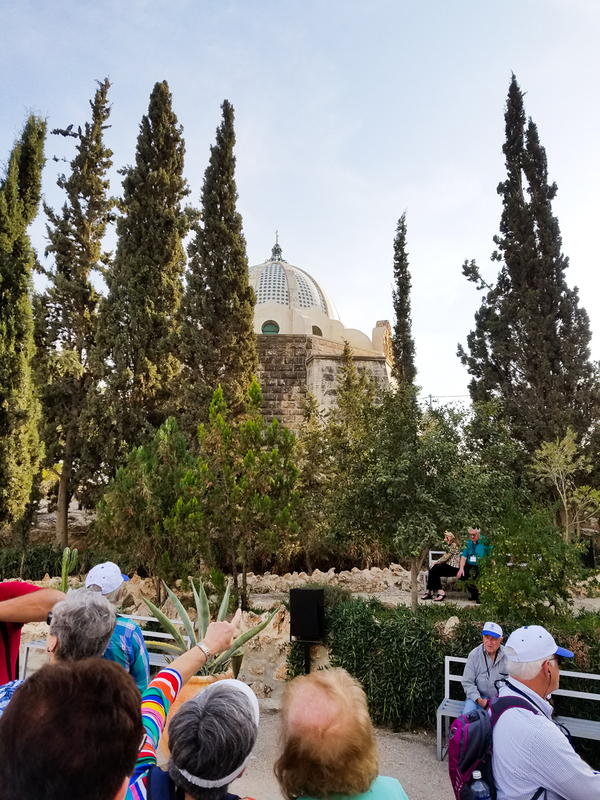 At Shepherds’ Field. 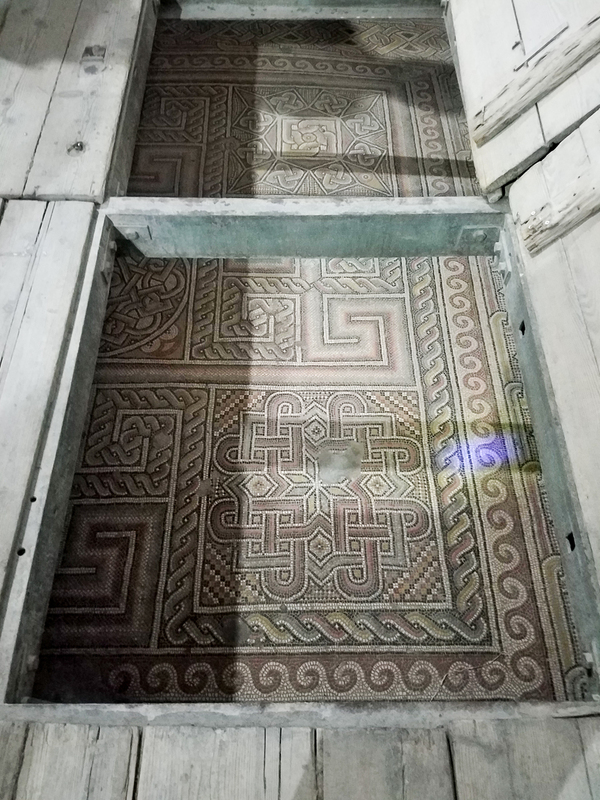 It looks like the roof of a Bedouin tent. 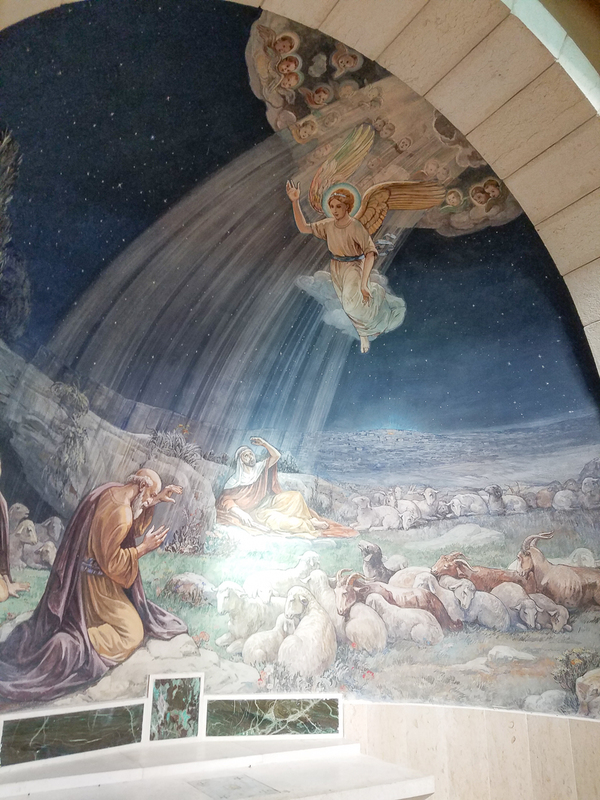 Frescoes in the Shepherds’ Field Church. 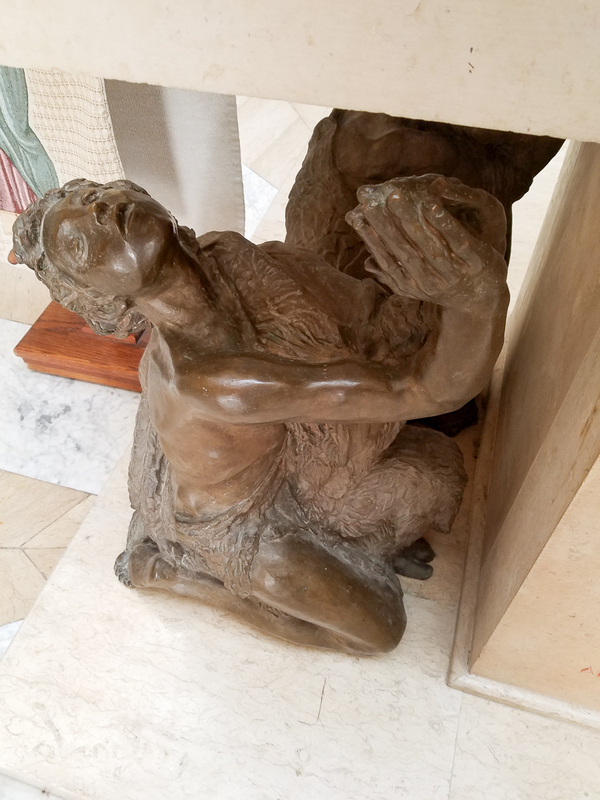 Shepherds, holding up the altar. 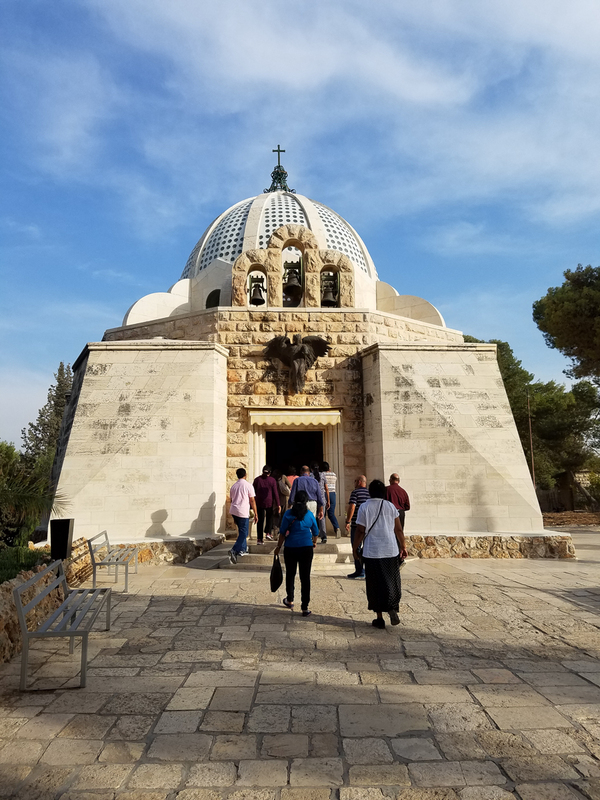 The church at Shepherds’ Field was designed to look like a Bedouin tent. 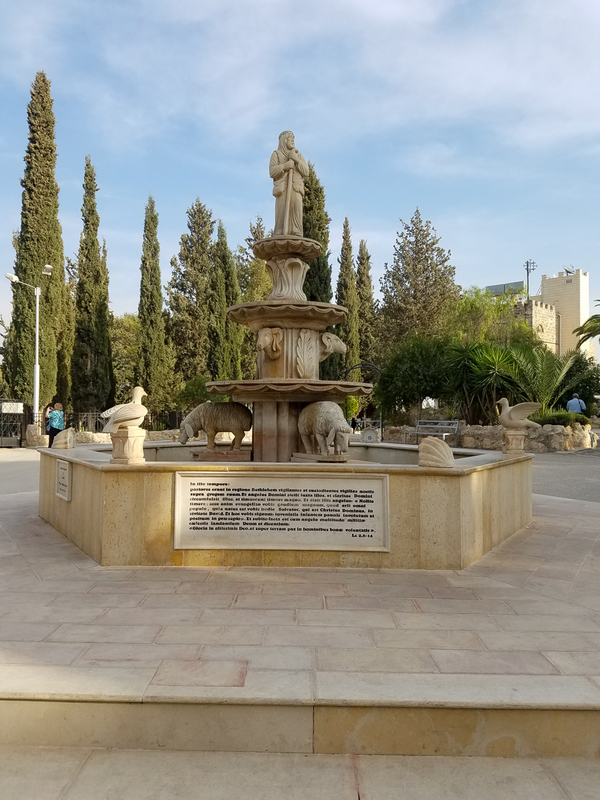 The Fountain at Shepherds’ Field. 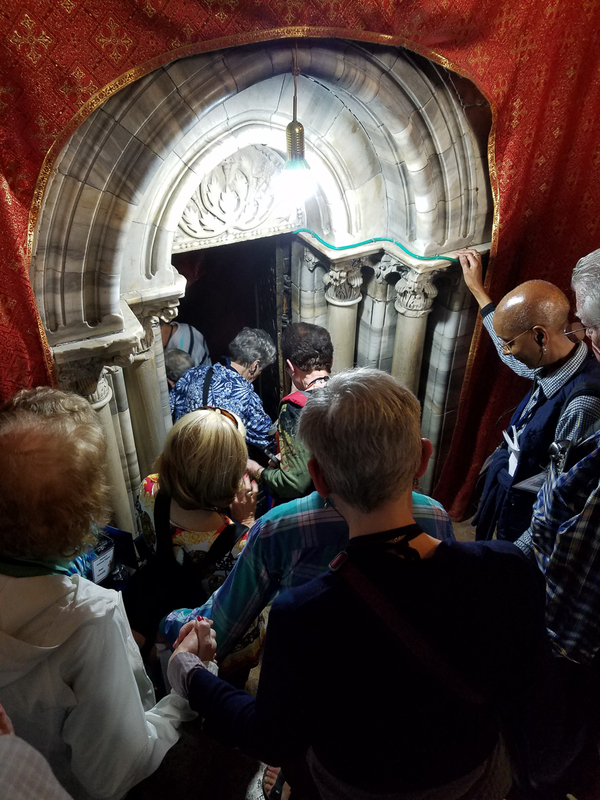 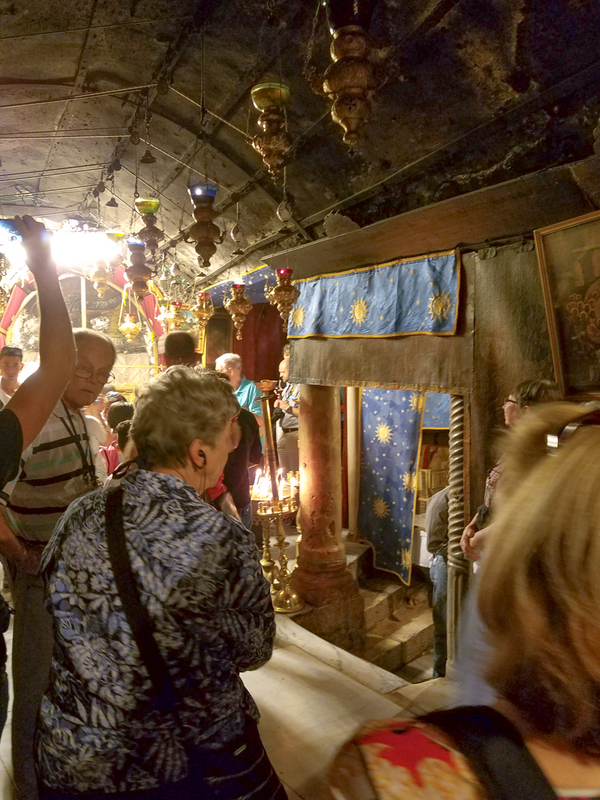 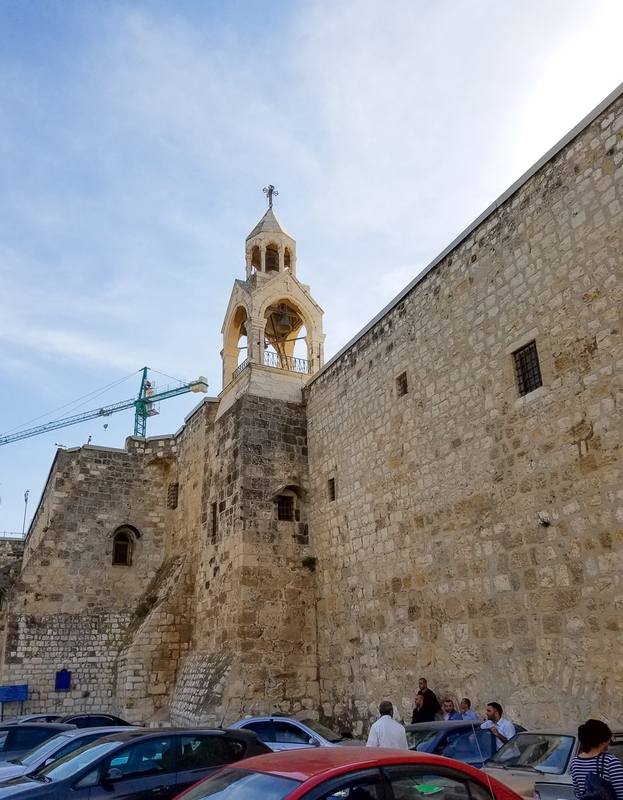 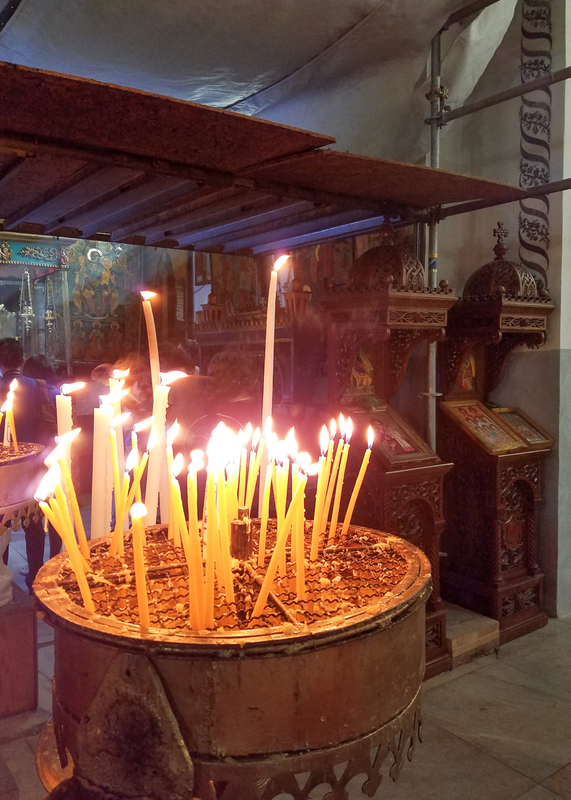 This entry was posted in Christianity, Christmas, Travel and tagged Bethlehem, Grotto, Holy Land, Nativity, Shepherds' Field on November 16, 2016 by frjfkauffmann.